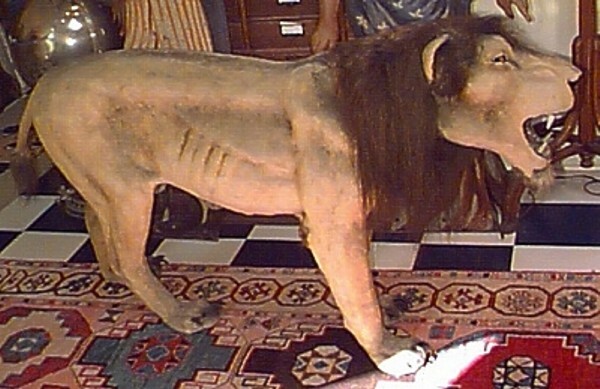 This wonderful lion automaton is a great show stopper. His head moves back and forth and up and down. It is driven by an electric motor. At one time, I believe it had a voice box. It is 5' 6" long and 40" tall.